So you’ve decided to start up a temporary/contract staffing company, and you would like to know what’s involved in ensuring success in your new venture. To follow are 10 tips for making your new venture a success. 1. Define Your Market – Most entrepreneurs that start a staffing company come from within the industry. Some have worked for other agencies as a branch or regional manager, recruiter, or sales professional. Others have owned a staffing company, sold their company, then returned to open a new company. Whatever the background, defining a specialty staffing area can be the key to your success. Whether it’s concentrating on accounting, finance, admin/clerical, light industrial, healthcare, IT, or professional areas, you must define your area of focus. Depending on your crew, it may be necessary to concentrate on one area first, then branch out to others as you bring in industry experts from other areas. 2. Define Your Strengths – Everyone has strengths. Whether it’s in sales/business development, marketing, operations, financial acumen, or other areas will depend on your role within the organization. You will want to take over roles matching your strengths, and leave the other areas to professionals best suited to handle the other functions in your business. For instance, if your specialty is business development, you want to be the one calling to get job orders and secure contracts. You may want to bring in an operations professional to handle day-to-days tasks of running the agency. 3. Define Your Weaknesses – This step goes hand in hand with #2, but can also include specialty areas as well. If you have a background in healthcare, you will probably want to attack that marketplace as an expert in the industry, versus taking on IT or Accounting clients. Stick with your strengths, and bring in experts to handle other specialty areas. 4. Get The Basics – The first step in opening a business is to incorporate in states that you are going to conduct business. I would recommend either going online to your Secretary of State’s website, or visiting a local office to incorporate. Whether it’s as a SubChapter C, S, or LLC, you want to make sure that you distance your personal business from your staffing business. Consult with your attorney on setting up your business as a corporation, but putting a layer of protection from your personal and business assets is paramount when starting your business. You may want to also consult your Accountant when setting up your business to inquire about setting your business up on a cash vs. accrual basis for accounting purposes. Also, if you are going to have candidates interviewing for positions, you are going to want to consider having a corporate office location, whether as an executive suite, in a strip center, or in a separate building. Appearance is everything, and you don’t want to be meeting candidates at your local Starbucks for interviews. Also, be prepared to contact your phone company for a business line, and consider leasing or buying office equipment (copy/fax machine, phone system, etc). Office supplies are also necessary to run your business. 5. Determine Insurance Needs – This is the fun stuff, as they say. Nobody likes to buy insurance, but unfortunately, it’s a requirement for running a temporary/contract staffing business. Minimum insurance requirements will be for General Liability and Workers Comp. You may also want to consider having E&O and Professional Liability Insurance coverages. Find an insurance carrier that understands the staffing industry! A list can be found under insurance providers for the American Staffing Association (www.americanstaffing.net). If you are a start-up, you may have to contact your state’s Insurance Fund to get your first Workers Comp policy. However, once you have an established business, you may be able to gain insurance from a private insurance carrier. Again, make sure you are dealing with a broker or agent that understands what your company and the staffing industry. 6. Determine Your Funding Needs – Without proper funding, your business is going nowhere. Understanding that you have to lay out money to incorporate your business, buy insurance, get an office location, purchase or lease equipment, purchase office supplies will get you to the point of opening your business. At that point, now you have to hire employees. They will be on your payroll and covered by your insurance. Now you need to place them on assignment and they expect to be paid weekly or bi-weekly. Once you bill for your services, it may take 30, 60, up to 90 days to get paid from your clients. You will have to carry that payroll for up to 90 days, unless you have a funder who will carry that payroll for you. You may have put up your savings to get the business off the ground, but if it takes off, you may run into a cash crunch fairly quickly. There are several options to cover your payrolling and working capital costs, but again you will need to find a funding source that understands your business and is able to fund your business based on the volume of business you generate. Banks these days are being very cautious about who they lend funds to, so I would recommend your finding a receivables financing company that specializes in the staffing industry. If you don’t enjoy the administrative functions of running a business, or would like to outsource your back office (billing, payroll, payroll tax) functions, some funders exclusive to staffing will not only finance your business, but take on the back office piece. 7. Market Your Services – Once your business is set up, now is the time to start marketing your services to potential clients. Some folks already have target companies in mind, based on prior business relationships. Warm calls and referral business is always preferred to cold calls, but when you are getting started, you have to utilize any methods to pick up new business. Joining social networks such as Linkedin, Twitter, Facebook, or others is a great place to start. Use your existing contacts to leverage other contacts. Let everyone you know that you have a started a new business venture that you are excited about and want to share. Network, Network, Network. 8. 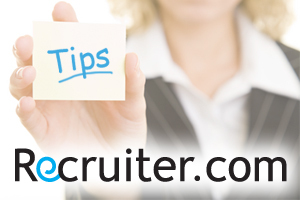 Find Candidates / Employees – In days past, the only way to find candidates was to pick up the phone and call into companies, or run a newspaper ad. There’s something to be said about those methods, but with the advent of the internet, social networks, job boards, etc., finding candidates has changed. Posting jobs to Monster, Careerbuilder, Dice, The Ladders, is great, if you can afford to subscribe to those services. Networking through Linkedin, Twitter, Facebook, and other social networks can be as effective, and much less expensive. Joining professional organizations such as The Amercian Staffing Association, local staffing organizations, or attending trade shows / staffing conferences can bring credibility to your organization, and provide excellent networking opportunities. 9. Become an Expert – People like to deal with professionals they feel comfortable with, view as an expert in their field, and provide value to the relationship. Take the time to learn about the industry, your specialty recruitment areas, and the clients you plan to call on. View each sales call as a job interview. Be prepared to discuss your prospective client’s company as if you planned on working there. Know their business, study their history, become familiar with their culture. If you are viewed as an expert in the industry, especially in your field, then it becomes a matter of finding out if your prospective client can afford your bill rate and if you can add value to their organization. 10. Repeat the Process – If you take the proper steps to set up your company correctly, then it’s a matter of building out your company. You may want to start small, then take on new business slowly. Or, if the opportunity presents itself, you may be able to capture unique opportunities to grow your business quickly. Remember to define your market, know your strengths, find an suitable funding source, and network, network, network.